Learn more about air travel from the experts. Second only to pilots, flight attendants are the savviest frequent flyers out there. 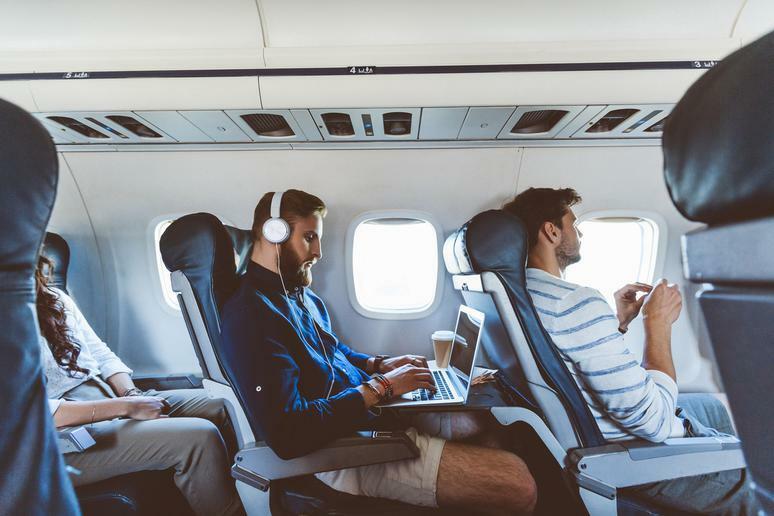 You may think you know a thing or two about dealing with long flights and how to find cheap tickets, but no one knows the ins and outs of air travel and airline service better than the people who get paid to do it. 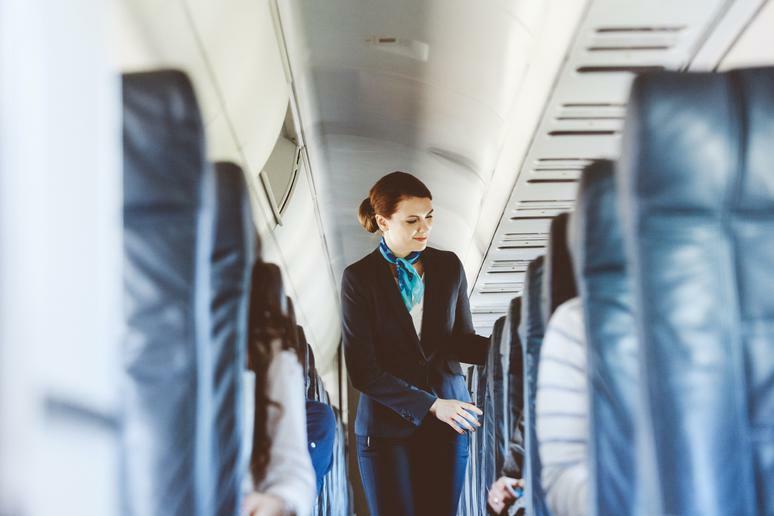 From dealing with ridiculous passenger complaints to having to resolve all kinds of issues, your flight attendant has quite a bit of knowledge that they’re usually more than willing to share. There may be some information, however, that they’re less likely to volunteer, but it’s useful all the same. 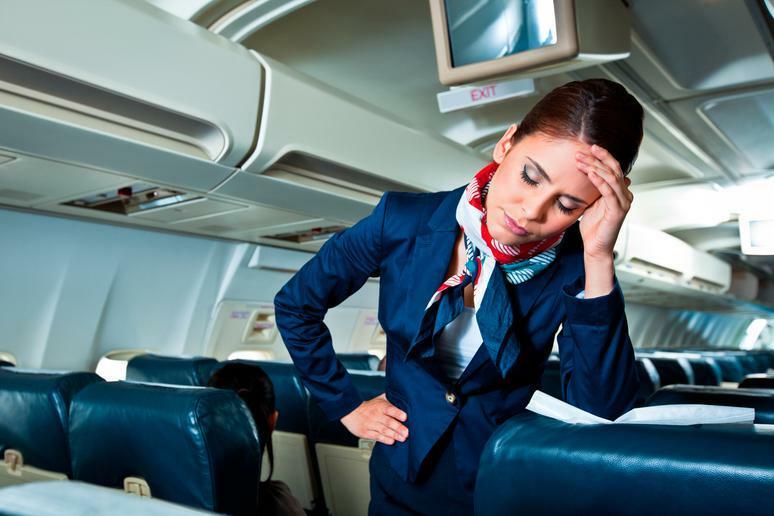 Learn how to better navigate the nerve-wracking and often exhausting experience that is air travel with these 25 things your flight attendant won’t tell you. If you don’t want your flight attendant to hate you, you should avoid using the call button unless you’ve had an accident at your seat, such as a spill, or if you have a genuine emergency. If you need something like water or a pillow, try to wait until a flight attendant passes by. You may very well have the misfortune of irritating passengers sitting near you, but unless you feel immediately unsafe, it’s best to try to resolve things yourself before pulling a flight attendant into it. If someone is kicking your seat or causing too much of a disturbance, try to ask them nicely to stop before asking a flight attendant for help. 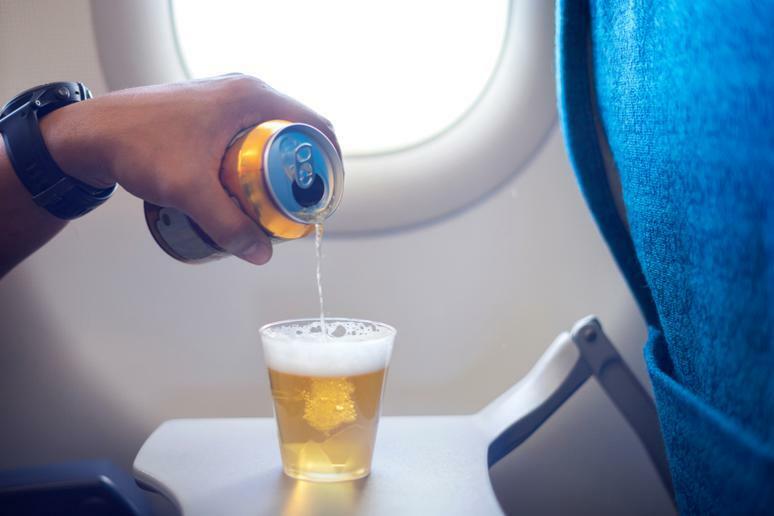 It’s much easier to get drunk at a higher altitude, so it’s essential that the flight crew be aware of how much you’ve had to drink, as well as have some degree of control over it. 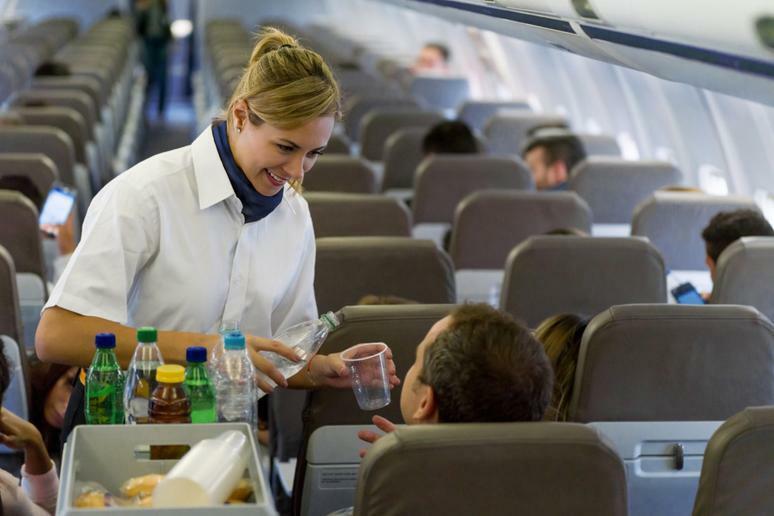 Serving drinks is only a small part of the job, but it’s an important one, as flight attendants would have no way to regulate how much you consume if you were to drink from your own bottle. Drunken passengers can cause quite a bit of mayhem, so this is just as much for your safety as it is for others. If you’ve had a bit too much to drink, your flight attendant reserves the right to cut you off. 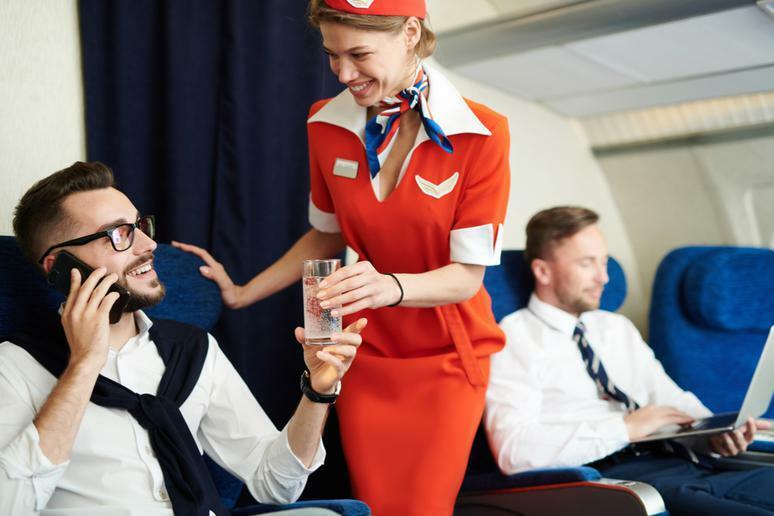 In order to enforce drink limitations without a fuss, however, some flight attendants have been known to serve a lighter pour when more is requested. They may also secretly give you decaf instead of regular coffee if you annoy them too much, as a sleeping passenger is less annoying. Airport security can be quite the hassle, but it can be more bearable if you know what you’re doing. One important thing to keep in mind is that first class lines at security are set up by airlines and not the TSA. If you’re a coach passenger, they’re a great way to get through the lines quicker, although you should use your discretion. 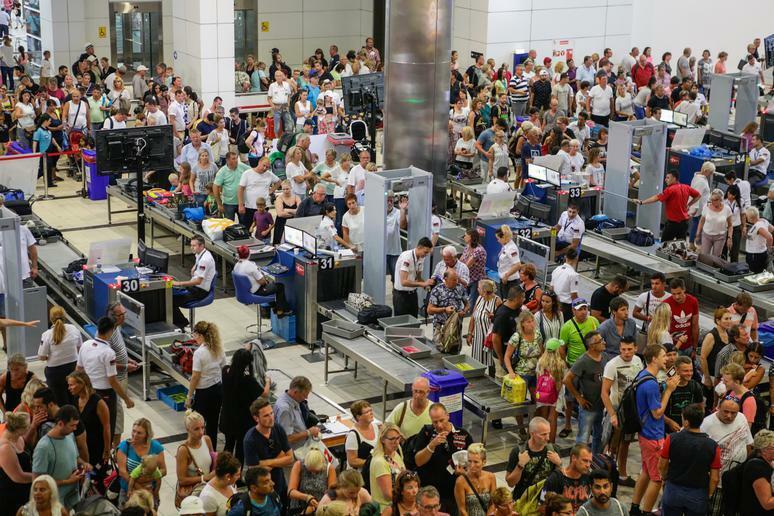 Some airports are more strict than others about enforcing the rules here, and it’s more likely to work when there’s a rush in the lines as TSA is more concerned with actual security than which line you’re in. There’s a lot more to being a flight attendant than simply serving passengers, and the job is a lot less glamorous than its reputation. 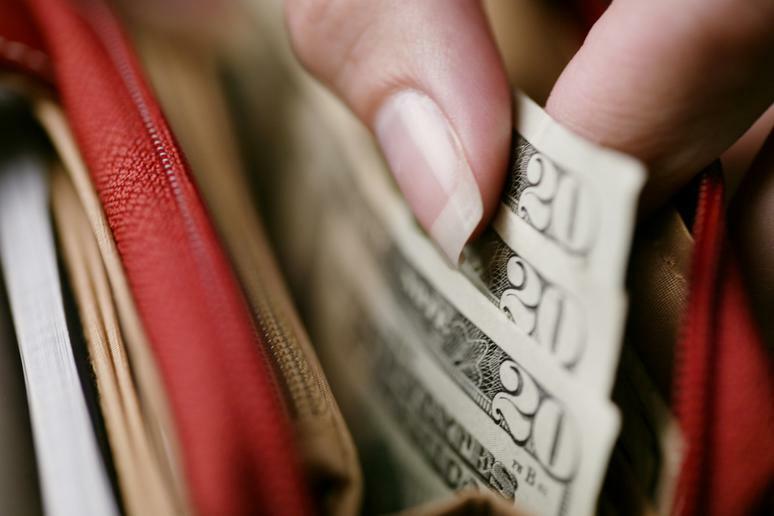 While veteran employees may eventually see a better wage, the average flight attendant’s annual salary is just about $36,000 with some of the flight crew getting paid as little as $20,000. However, most flight attendants are paid hourly and the hours only count once they’re in the air, so even those numbers may be generous. Blankets, pillows, and headphones are all often sanitized and then repackaged for more passengers to use. If that still sounds a little too gross for you, remember to pack your own pair in your carryon. 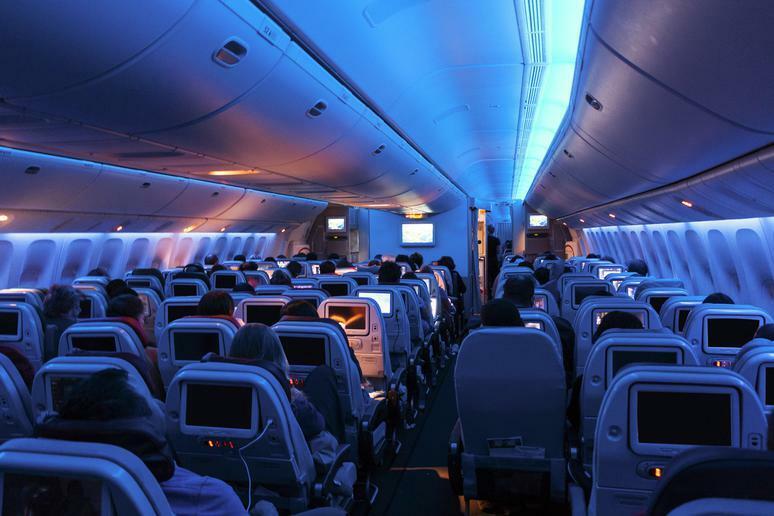 Cabin lights aren’t adjusted just to suit the flight crew’s mood — they're actually a safety measure. During takeoffs and landings at night, lights are dimmed in order to help passengers’ eyes adjust to the dark in case they need to evacuate the plane. Your flight attendant may also request that you lift up your window shade for the same reason; if there’s an emergency, you’ll be able to see what’s going on in order to get yourself to safety. Open window shades also help rescuers see inside the plane in order to better assess the situation. 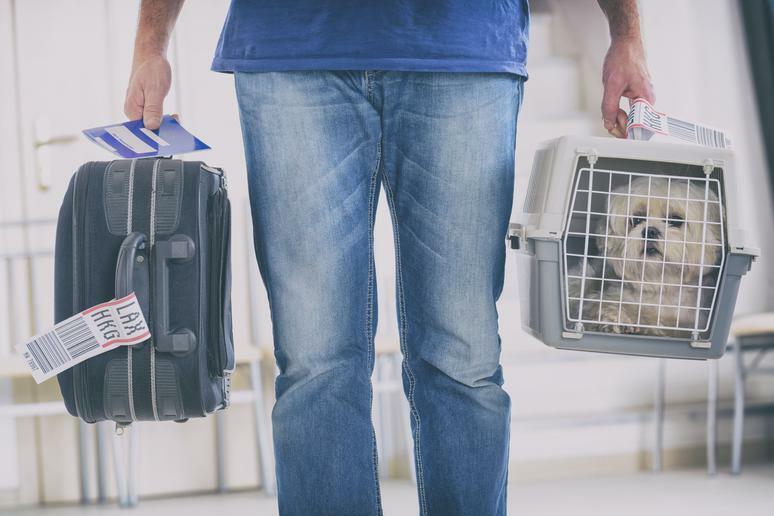 It’s important to take all the proper precautions when traveling with your pet, and one of the most important precautions would be to avoid cargo travel at all costs. Extreme temperatures and poor ventilation in the cargo hold have been responsible for multiple pet deaths, and noise is completely unregulated down there, which may also cause harm. If you must travel with your pet, pay extra to carry them onto the flight with you or consider taking a drive instead. 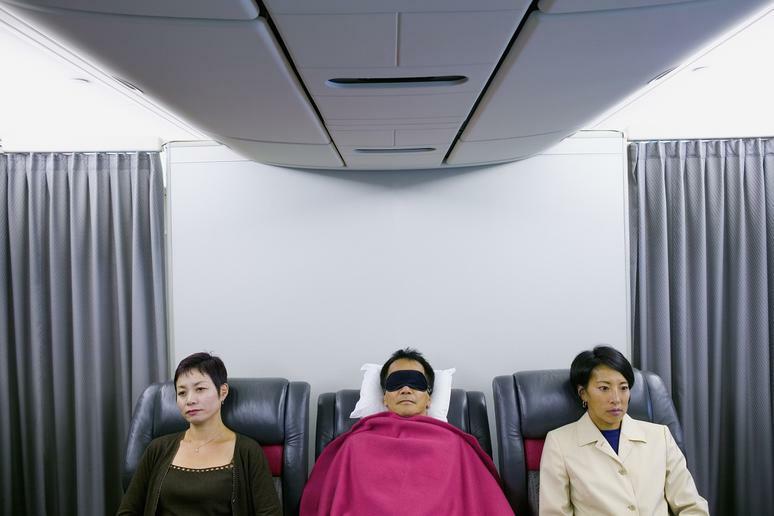 Flight attendants have the power to upgrade passengers’ seats, but they don’t do it very often. Be kind and ask politely for an upgrade if you want one, but also be understanding of the possibility that there may not be one for them to give. Upgrades can only be done after the airplane’s doors close, and there aren’t always enough seats, or even first-class or business-class meals, to accommodate more passengers. Flight attendants may also be reluctant if their airline requires paperwork to explain the move. In all honestly, it also helps if you’re tall, well-dressed, pregnant, or know the flight attendant. The flight crew aren’t the only people who can affect your in-flight experience. Check-in staff have a roster of where each passenger sits as well, and they can seat you right next to the bathroom or near a bunch of small children if you annoy them enough. Flight attendant appearance is quite strictly regulated by airlines, down to the lengths of their skirts. After a flight attendant is done with their probationary period, however, the dress code gets relaxed a little and hemming in the skirt a bit is allowed. 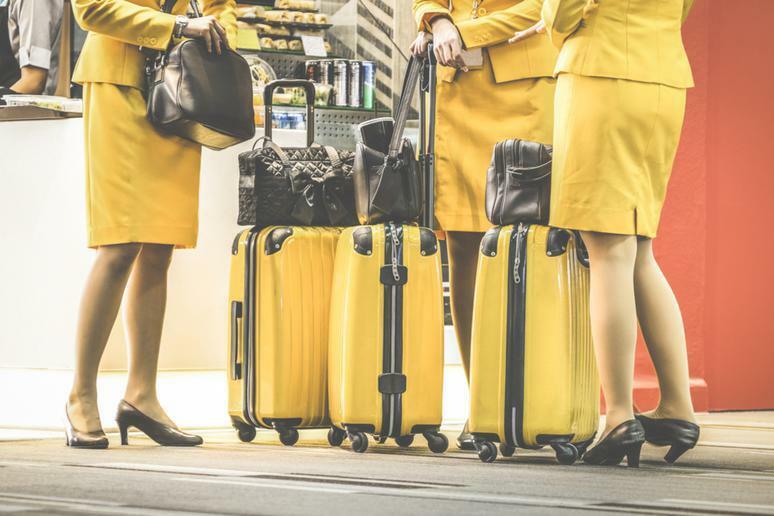 This phenomenon is so ubiquitous that male pilots are known to try and get a bit friendlier when they see a crew member with a longer skirt, as new hires have been known to be more receptive to advances. With a busy schedule that often involves rushing from gate to gate, flight attendants don’t always have time to grab good or healthy snacks for long flights. It may seem unorthodox, but returning the favor and giving snacks to your flight attendant is not only allowed but highly appreciated. Commercial planes often also ship cargo, which sometimes includes human remains, referred to as “HR.” As a result, your flight may have bodies in the cargo hold heading towards their final resting place. It’s also not unheard of for passengers to pass away mid-flight — flight attendants will sometimes, if they can, try to draw as little attention to this as possible by covering the body in a blanket and putting a hat or sunglasses on it, perhaps even upgrading it to first class. Most airlines discourage tipping the flight crew, but they don’t outright ban it. Many have instructed their employees to turn down the first attempt at tipping, so make sure you ask once or twice more. If you’d rather not go through the back and forth with your flight attendant, you can also consider leaving the tip in an envelope on your seat before you leave, either writing what it is on the envelope or letting a crew member know. In addition to a viable passport, you want to always remember to bring a pen when flying abroad. You will most likely have to fill out a customs form upon landing, and scrambling for a pen might hold you up. 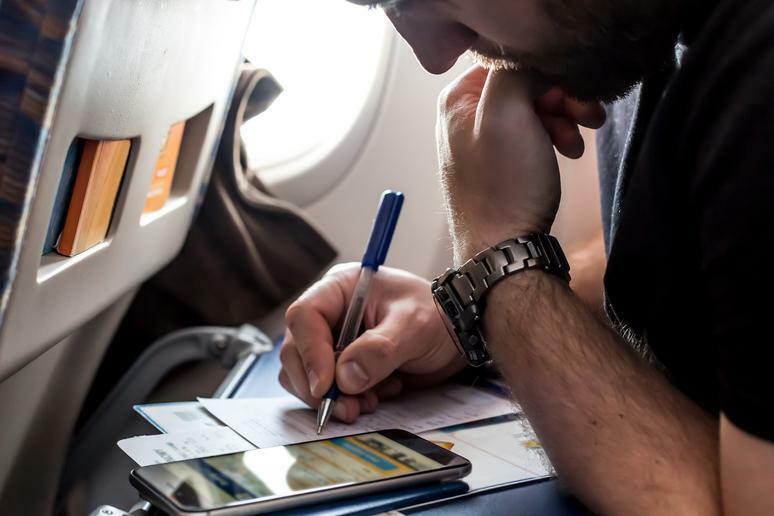 The flight crew may pass out some forms during the flight, but they may not have enough writing utensils, so it’s always a good thing to be old school and remember to bring a pen along with your electronics. With so many flight delays, maintenance checks, and other interruptions and disruptions, sanitation can often fall by the wayside and your airplane may not be as clean as you’d hope. 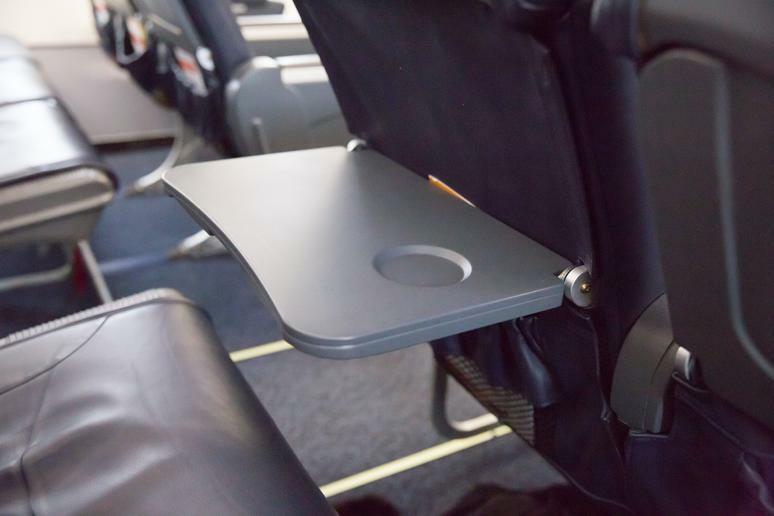 Unfortunately, flight attendants often don’t have the time to disinfect these bacteria-ridden trays, so you may want to bring your own sanity wipes to get the job done yourself. 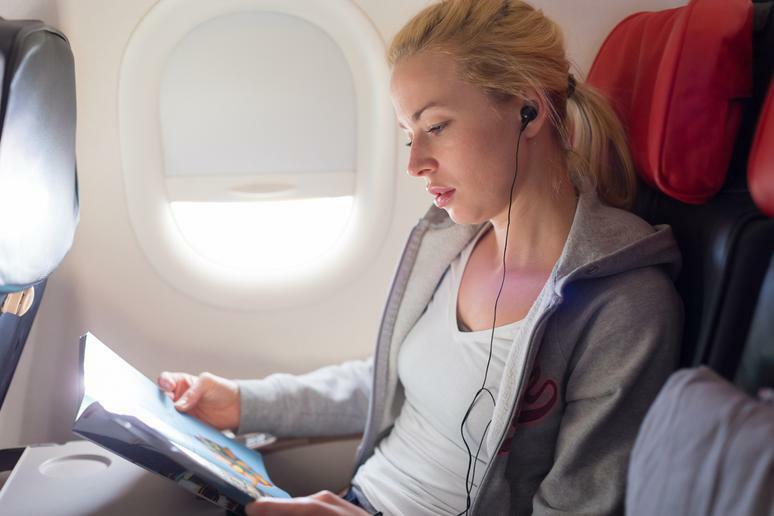 While most passengers understand that they have to turn off their cell phones in order to prevent radio interference, many have wondered about why electronics such as laptops and iPads are ordered shut down and stowed away during takeoff and landing. It’s actually an important flight safety measure; electronics are potential projectiles and, at hundreds of miles per hour, they can cause serious damage if not secured properly. 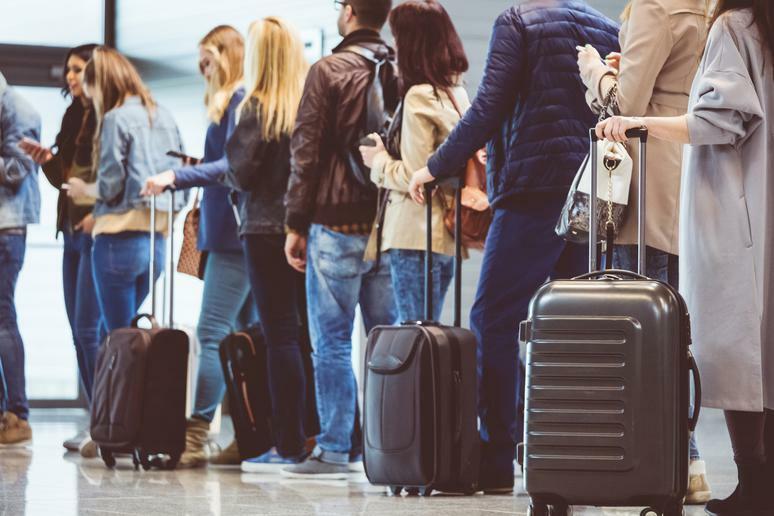 With more baggage restrictions, it is becoming more and more common for gate agents to request that passengers check in their carry-ons, especially if the flight is full. You can even sneak a bag that’s slightly bigger than the dimension limits past your check-in staff, at which point a gate agent may “force” you to check it in since it won’t fit in your overheard compartment. Most airlines only allow one carry-on suitcase and one personal item, such as a purse, backpack, briefcase, or laptop bag, for each passenger. What you may not realize, however, is that there are many items that don’t fall into the “personal item” category and therefore are totally exempt. In addition to food or drink, this includes, umbrellas, hats and jackets — which means you should definitely consider a jacket with impressive pocket space. The flight crew has to keep track of the weight and balance on a flight as a safety measure, and in the wintertime, each passenger is presumed to be 20 to 30 pounds heavier than in the summer. This is generally due to heavy winter coats being taken into consideration, as well as heavier luggage full of presents and leftovers being taken home. 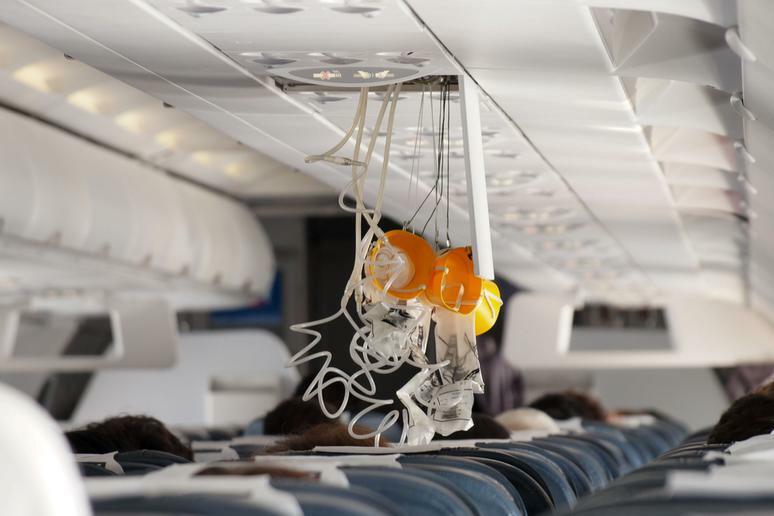 In the case of an emergency or sudden decompression, should the oxygen masks fall out from the compartment above your seat, it’s important to know that they only hold a limited amount. This amount is meant to be enough to allow passengers to breathe as a pilot gets down to a safer altitude, but flight attendants have a portable oxygen tank that they can bring with them throughout the cabin and use to provide more oxygen as needed. 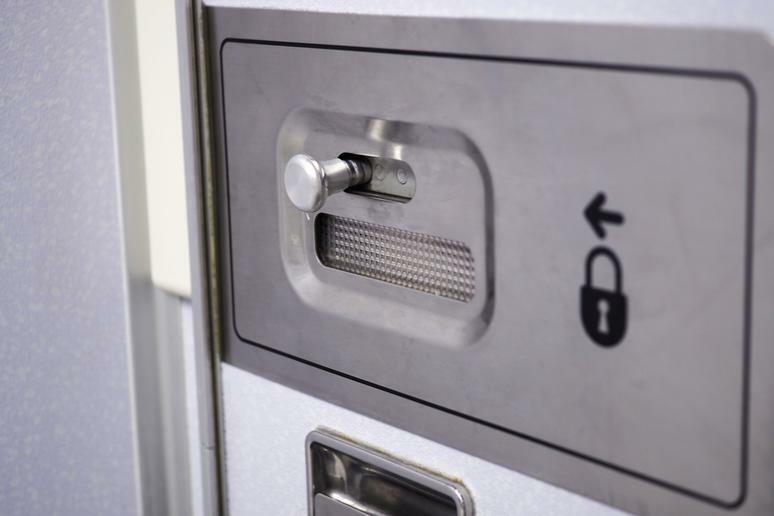 Whether you’re in trouble because you’re doing something you’re not supposed to do or incapacitated and in need of aid, flight attendants have the ability to unlock an airplane bathroom from the outside in seconds if need be. There’s apparently a latch underneath the “occupied” sign that allows them to do so. A recent study has confirmed this, but flight attendants have known for it for ages. The coffee and tea on board is made using the same hot water you find in the bathroom sinks, and none of it meets hygiene standards, as the water tanks it comes from is not cleaned anywhere near enough. If you’d like some water on board, ask for bottled rather than tap. If there’s enough left after everyone else has been served, there’s actually no limit to how many snacks you can enjoy on board. It’s advised that you ask nicely, with a please and thank you, as flight attendants do have full discretion over airplane food.